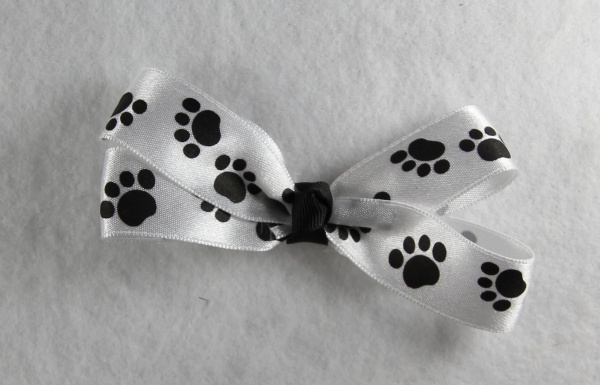 Dog Lovers will love this Dog Print Hair Bow. This is a white satin 7/8" ribbon that has black dog prints on it. The center is wrapped with a black grosgrain ribbon into a French knot.